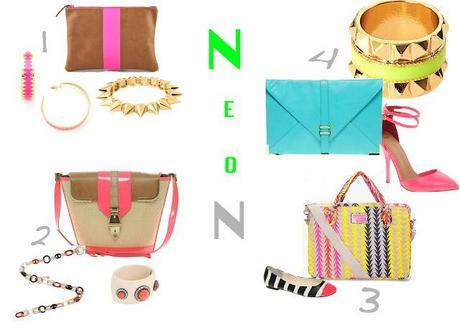 Neons is a fun trend for this S/S season. I had so many email requests about how-to, I decided to make tutorial series. Accessorizing is probably the easiest, safest and best for your $$$ way to update ANY wardrobe to a current trend. It does not take much of a change, yet it shoes that you are in tune with today's world, which is a must when you are a professional - whether a teacher or a fashion magazine editor, it will boost your confidence and radiate to others.